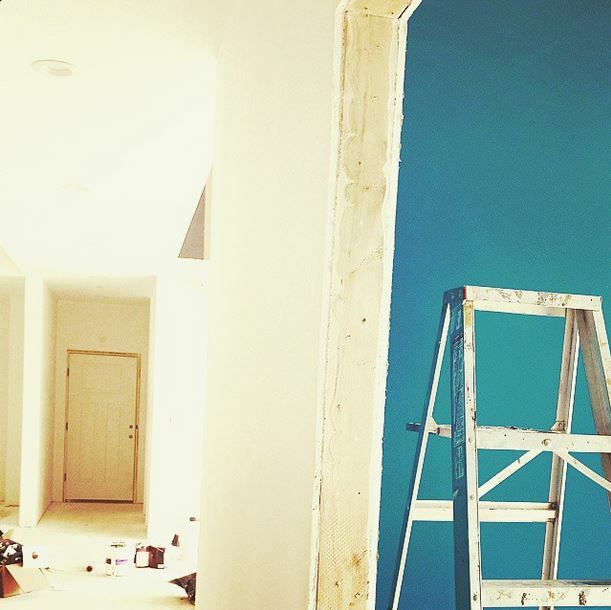 I know the story of our house building is still in the beginning stages, but I want to pop in from real time for a minute and tell you – we’re putting color on the wall!! It’s probably my favorite thing. There is just something about bold color – I can’t stay away! 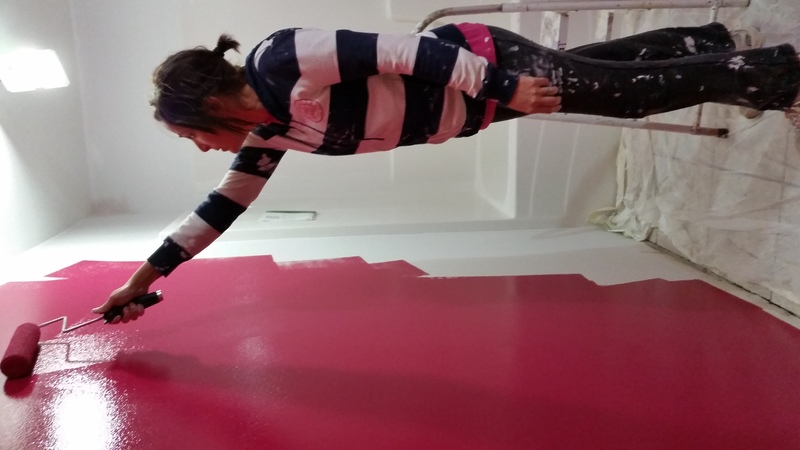 I love being part of the Behr DIY Experts and trying new colors. 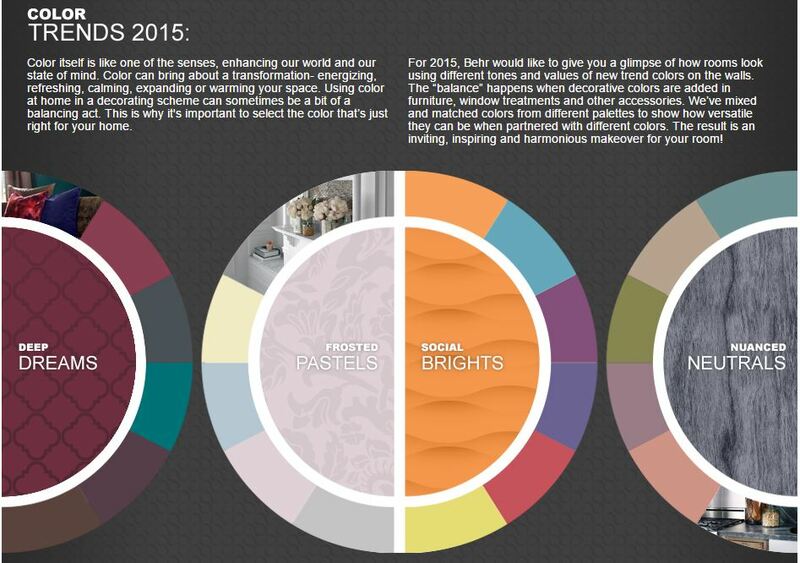 Have you looked at the new Color Trends for 2015? I love them! 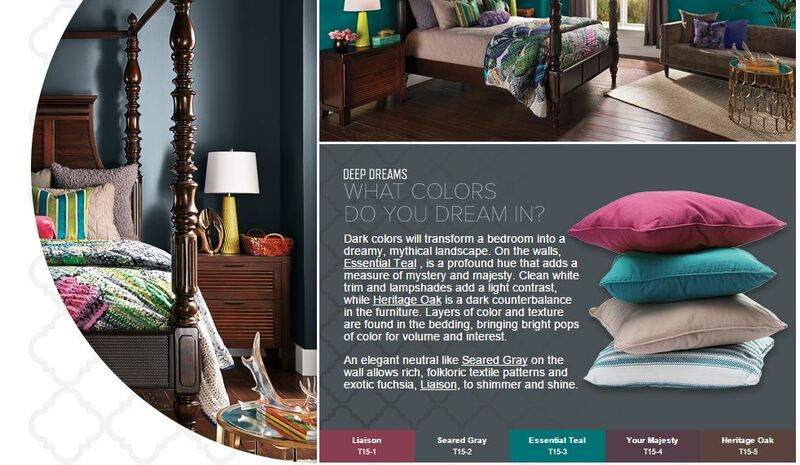 The four categories for colors in 2015 are Deep Dreams, Frosted Pastels, Social Brights, and Nuanced Neutrals. I love how they’re separated into those groups, because then you know that all the colors in that group play well together. 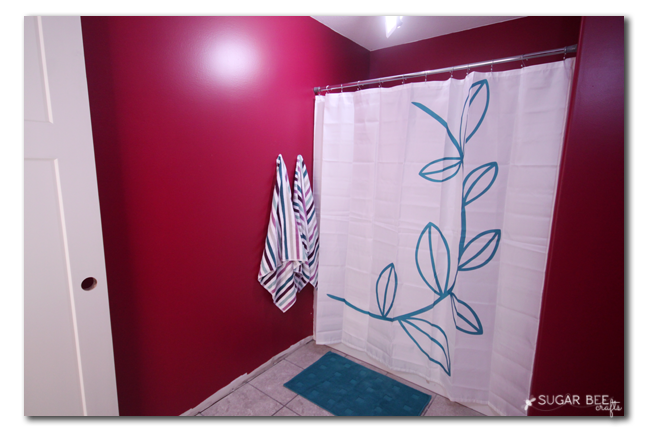 I painted the walls in Liaison, which is a cranberry color. Then I loved that it accents well with Essential Teal. 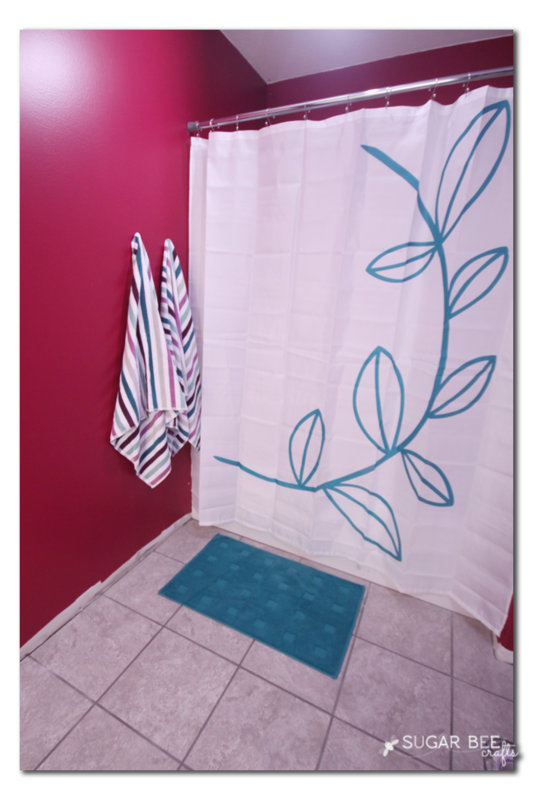 I used the teal in the shower curtain and floor mat, and then found sound towels that pull all of those colors together. Obviously we’re still working on things like trim and lighting, but I was just super excited to actually get color on the wall. It’s a big sign to me that things are winding down, and I just love how color brings personality and warmth to a home. Makes a house a home. 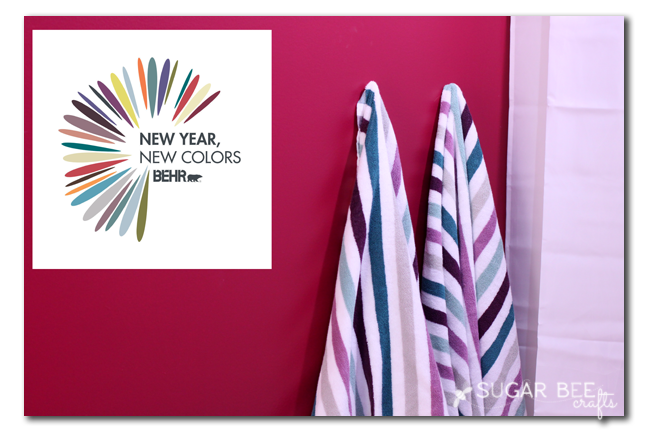 Right now with Behr, there’s a chance to win a $500 VISA gift card – – To enter, pin your favorite trend-inspired look (even this project!) on Pinterest before Tuesday, 1/27. Then, copy and paste the link of the pin to this Facebook contest page and enter your information. Good luck! 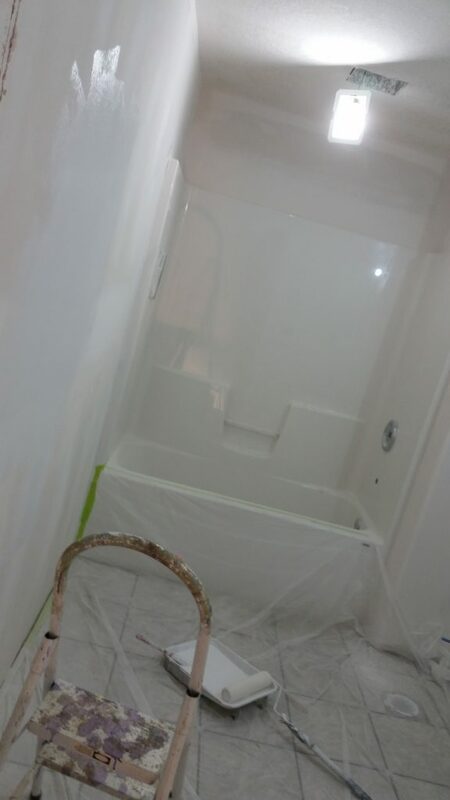 And then be sure to check out the projects from all the other Behr DIY Experts – so many awesome projects!! 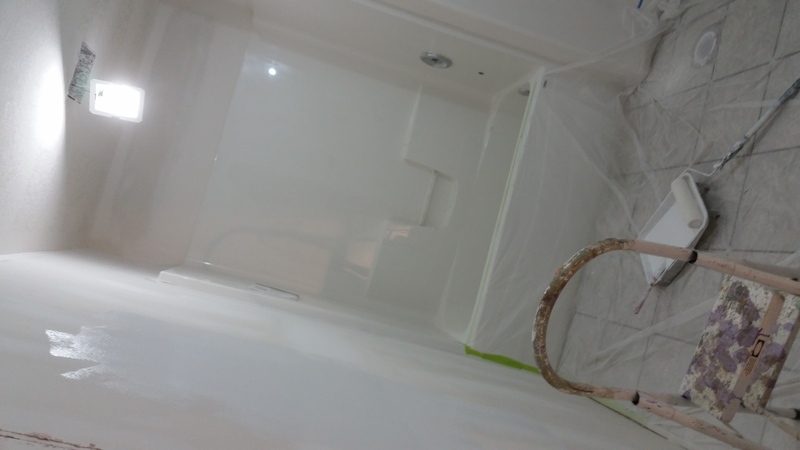 Yay for paint on the walls!!! I just love that teal color. Oh Liaison is such a pretty colour! I can’t wait to see the full project finished! These colors are AWESOME on the walls. 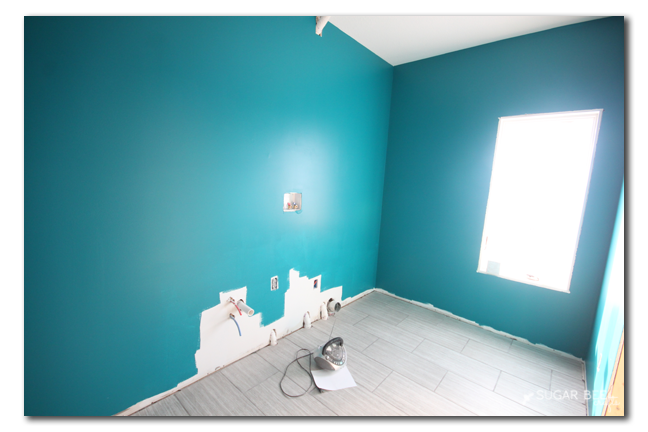 I love the essential teal – it’s such a great color anywhere but it really pops on the walls. 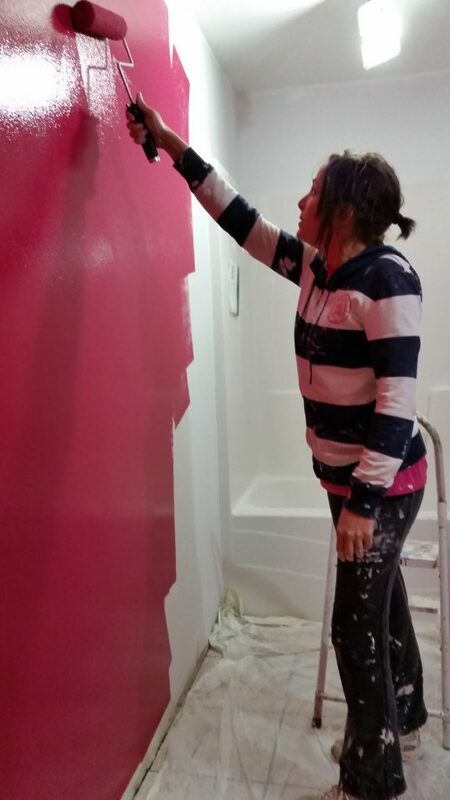 So excited that your home is coming along. I love following along with your progress.